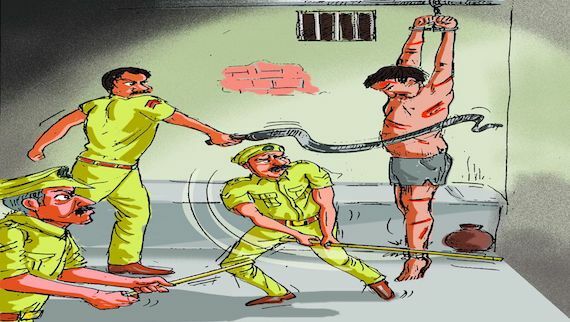 “Torture Update India”, released today, the 26th June, the International Day in Support of Victims of Torture 2018, states that a total of 1,674 custodial deaths including 1,530 deaths in judicial custody and 144 deaths in police custody took place from 1 April 2017 to 28 February 2018 as per the statistics placed by the Ministry of Home Affairs, Government of India before the Rajya Sabha on 14 March 2018. 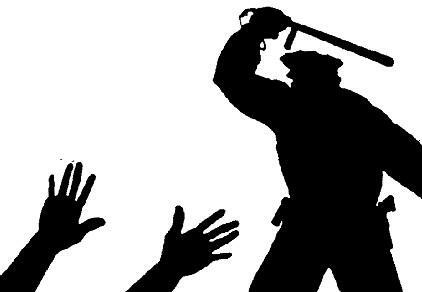 The bench of Justice Jatinder Chauhan of Punjab and Haryana high court issued notice for 30th Nov 2016, in the case related to custodial torture of a Sikh youth belonging to Hoshiarpur district. 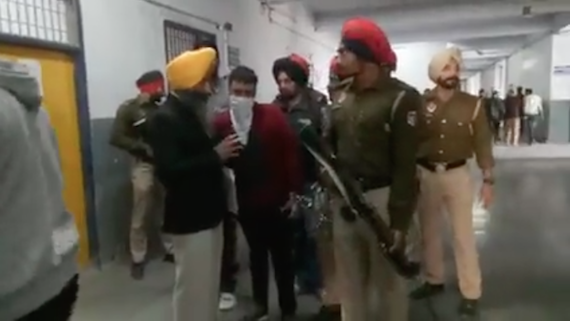 Bholath/Kapurthala, Punjab: In a shocking incident two women have reportedly been given electric shocks by Punjab police inside a police station in Bholath area of Kapurthala. 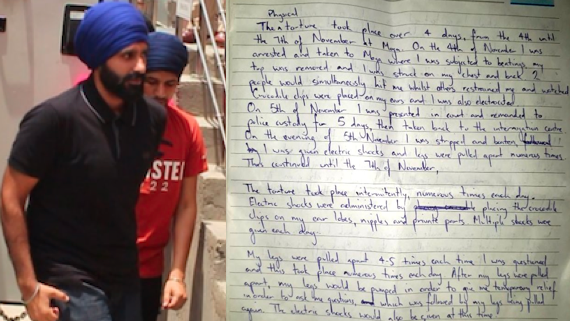 The women were admitted to a private hospital where they were referred to a civil hospital in Kapurthala. Their condition is stated be normal. 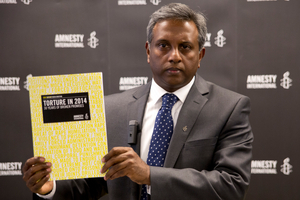 London, United Kingdom (May 22, 2014): Salil Shetty, the current Secretary General at Amnesty International last week released a report ‘Thirty years of broken promises’ to mark the United Nations adoption of the Convention Against Torture in 1984. 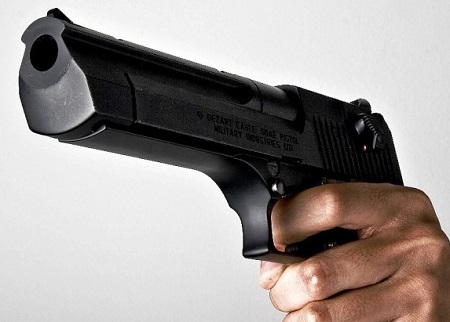 Amritsar, Punjab (May 18, 2014): According to media reports the Batala police has dismissed 6 policemen — including three assistant sub inspectors (ASI) and three head constables — for their involvement in the abduction and murder of a jail inmate, Bikramjit Singh. 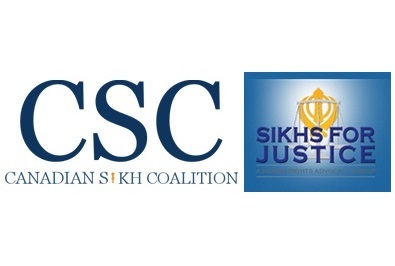 Ontario, Canada (August 23, 2013): It is learnt that Sikh diaspora organizations of Canada like the Canadian Sikh Coalition (CSC) and Sikhs for Justice (SFJ) are planning to chase and target Punjab cops for their role in torture of Canadian citizens in Punjab. 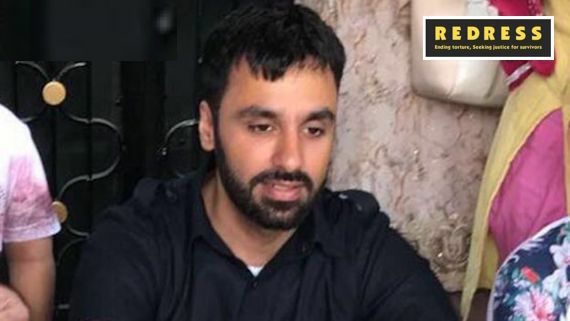 As per information CSC and SFJ are planning to prepare a case, which will be presented to the Canadian government, declaring Punjab police force as violator of human rights so as to deny its officers visas to that country. 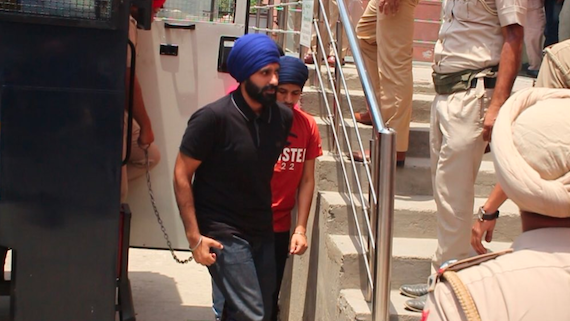 Toronto, Canada (August 13, 2013): The Sikh rights groups in Canada are launching prosecution and arrest warrants of visiting Deputy Premier of the State of Punjab Sukhbir Badal for his culpability in the torture of the Canadian Citizens in India. The Deputy Premier Badal is scheduled to hold meetings with the Canadian officials and business leaders in the British Columbia and Ontario during his upcoming September visit. Ludhiana, India (June 26, 2013): 26 June is observed as "United Nations International Day in Support of Victims of Torture". Torture seeks to annihilate the victim’s personality and denies the inherent dignity of the human being. 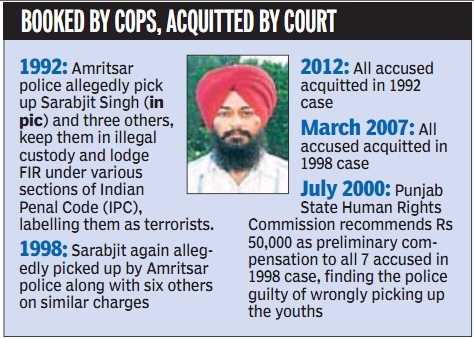 Chandigarh/Punjab (May 28, 2013): According to media reports a Sikh resident of Amritsar Sarabjit Singh (43), who was subjected to torture in custody by Punjab police won a decade and-a-half-long legal battle on January 15, 2013 when a district court slapped Rs 10-lakh damages on the Punjab government. But Sarabjit Singh, who was branded by police a ‘terrorist’, is now fighting legal battle to get the compensation money enhanced to Rs 50 lakh. New Delhi, India (May 25, 2013): In it's recent issue "Tehelka", an investigative weekly, has noted that: "[f]our undertrials die in police custody every day in India — a disturbing number for one of the oldest judicial systems in the world. 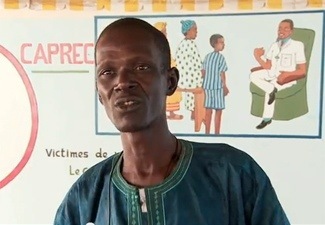 Between 2001 and 2010 the National Human Rights Commission (NHRC) registered 14,231 custodial deaths. Jalandhar, Punjab (May 11, 2013): Akali Dal Panch Pardhani (ADPP) president Bhai Kulvir Singh Barapind has sued the Government of India and State Government of Punjab besides President Pranab Mukharjee, PM Manmohan Singh, Minister of External Affairs, Minister of Home Affairs, National Security Advisor, Director of National Investigative Agency, Governor of Punjab, Chief Minister and Deputy Chief Minister of Punjab, Punjab police chief and a number of other Indian authorities and police officers in a US court. Wisconsin, US (February 19, 2013): As per inforamtion available with Sikh Siyasat News (SSN) the US federal district court of Wisconsin will hold an evidentiary hearing on February 31, 2013 in a case of human rights violation filed against Punjab Chief Minister Parkash Singh Badal by a the victims of state repressiona and Sikh NGO - Sikhs for Justice. 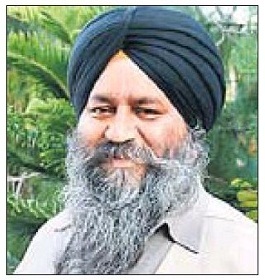 Phillaur/Ludhiana, Punjab (November 12, 2012): Punjab Police and Punjab Government have reportedly failed to provide any convincing reason for their failure to get Bhai Kulvir Singh Barapind examined by a medical board of doctors to ascertain the traces of custodial torture.